animals | "bee-zine & buzz-in"
SEOUL, South Korea (AP) — A South Korean firm is offering to clone pet dogs in cooperation with the scientists who created the world’s first cloned canine, the company said Friday. Seoul-based RNL Bio said it is already working on its first order from an American woman who wants a clone of her dead pit bull. She was especially attached to it because it saved her life when another dog attacked her and bit off her arm. The client provided the firm with ear tissue from the dead dog, which she had taken and preserved at a U.S. biotech firm before the dog died a year and a half ago, said company spokeswoman Kim Yoon. The chances of successfully creating a clone are about 25 percent, Kim said. The firm is charging US$150,000 (€102,400) for the clones, which clients pay only after they receive a new pet. Cloning work will be done by a team of Seoul National University scientists led by professor Lee Byeong-chun, a key member of disgraced stem cell scientist Hwang Woo-suk’s research team, Kim said. The company will handle marketing. Lee was the main scientist leading the dog cloning. He later cloned more dogs and succeeded in cloning a wolf. Kim, the company spokeswoman, said no other scientists elsewhere had succeeded in creating cloned dogs, and that her company is offering the world’s first commercial dog cloning service. Lee confirmed the university’s animal cloning clinic would work on the project, but did not elaborate. RNL Bio plans to eventually focus on cloning not only pets, but also special dogs like those trained to sniff out bombs. Established in 2000, the company produces animal disinfectants and health supplements, while also conducting stem cell research. A growing number of pet owners are turning to legal experts for advice on drawing up wills that ensure their beloved companions are looked after in the event of their death. Under the Civil Code, people cannot directly bequeath assets to pets, so owners have been making wills leaving their estates to nonfamily members on the condition they take care of their pets. With more pet lovers living alone because of the declining birthrate and aging population, interest in the issue of “asset succession” to pets is expected to grow. Ito, of Taito Ward, Tokyo, says he first had someone call on him over drawing up a will to benefit their pets five years ago. Since then, he has spoken with about 50 people in similar cases. Under the Civil Code, pets are deemed to be objects, and may not inherit assets. “It’s possible to bequeath assets to pets using the ‘onerous bequest’ system,” Ito said. An onerous bequest is a method for creating wills for situations such as leaving an estate to a person, but with certain conditions, such as having a person look after parents, or leaving them land in return for taking over a farm. This method can also be used for pets, and three people to date have drawn up wills in this way. One was a widow in her 70s who left 15 million yen to an old friend in her neighborhood on condition the friend took care of her dog. The other two were also elderly people who made wills leaving assets of between 3 million yen and 5 million yen to people on conditions they look after their pets. To avoid problems, these people had their wills notarized, rather than just drawing up the wills themselves. They also gave a “memorandum” to the beneficiary of the will setting specific instructions for looking after the pets. These notes state matters such as the number of times a day they should be fed and how often they should be taken for walks. But it is not only elderly people who are consulting legal experts on such matters. An administrative scriveners office in Kumamoto that has an online consultation service for pet-related inquiries has received requests from two single women in their 30s to draw up draft wills. One of the women has a dozen or so dogs, and has reportedly made a will entrusting care of several dogs each to a number of friends and colleagues. But problems are forecast over issue of the actual inheritance. Masumi Yoshida, a professor at Obihiro University of Agriculture and Veterinary Medicine and a lawyer with expertise in legal issues regarding pets, says various problems may ensue. According to Yoshida, people may accept the assets, but not look after the pets; legal heirs and other people may have objections; or the pets may fail to become attached to their new owners. One measure to counter this may be to specify a testamentary executor who is authorized in advance to make sure the will is adhered to. The testamentary executor will be able to nullify the bequest if an heir does not keep a promise or if the type of care the heir is requested to give is unreasonable. However, the definition of “care” is ambiguous. Whether we know it or not, the Norway rat, aka the brown rat, is one of our most constant companions, supremely adapted to city life. 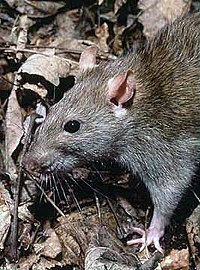 Rats have the most amazing ability to memorise, communicate, jump and squeeze through tiny gaps. But how do they do it? And significantly, how do they outwit, outrun and outnumber humans on so many occasions? Originally from Asia, they have conquered the globe in less than three centuries. For some they strike terror, for others disgust, but many people have rat stories that are truly amazing. Rat Genius details some of these great rat-human interaction stories, combined with thenatural history of rats and a set of man-made challenges in a specially constructed rat studio set. Our real-life rat stories use impressive reconstructions. We deconstruct each story and analyse exactly how the rats actually accomplished each feat. We will find out why rats need these skills in the wild and attempt to find out just how intelligent they really are. Our specially designed rat studio set uses a spectacular lighting style, high-speed, infrared and remote controlled cameras to get up close and personal with these remarkable creatures as we put them through their paces. We test a rat’s agility: jumping, balancing, diving (rats can swim above water for 72 hours), hearing, smell and vision. And the definitive rat obstacle course will show how one ingenious rat pulls off the most amazing studio ‘heist’, using all its ingenuity to reach a food stash.